The opportunity to learn hockey skills – for free – is back up and running this year at the local ice rink. 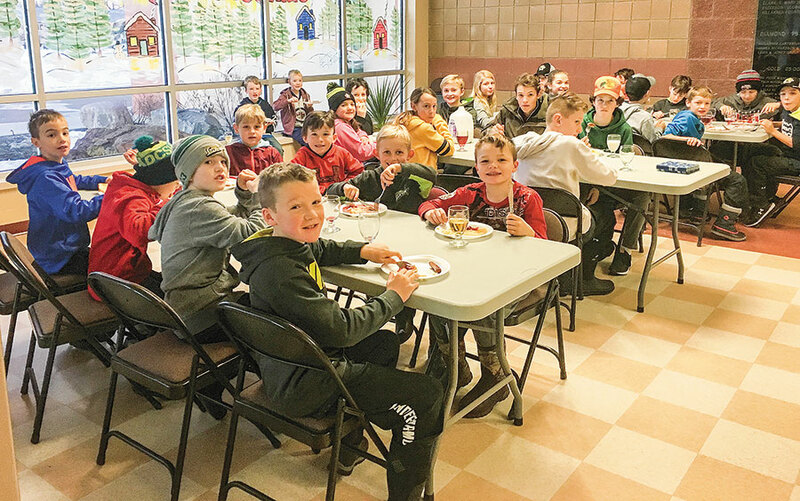 The popular Breakfast Hockey Club for kids got underway in September, and the program will run until mid-March, say the organizers. 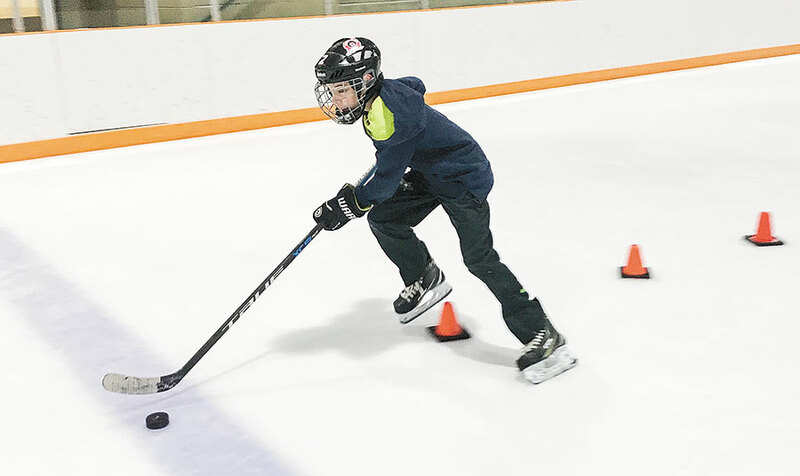 Shiels is assisted by fellow coach Lee Magwood, and together the duo provide an exercise program to teach the youngsters hockey skills and skill development, such as footwork and stick handling. The kids arrive in time for Breakfast Club at 7:30 a.m., where they lace up, and work on their hockey skills until 8:10 a.m. Then it’s time for a healthy breakfast before they head off for school. Generous donors have helped to supply the club with around $4,000 in total this year, added Shiels. “That’s about what we need to supply the breakfasts and to pay for the ice time,” he said. PEELING AROUND THE PYLONS – Early morning Breakfast Club member Brayden Bartley is pictured here on the ice, stickhandling through the pylons as he hones his hockey skills. GREAT SPONSORSHIP COVERS BREAKFAST CLUB HOCKEY COSTS – This year’s costs to run the Killarney Breakfast Club hockey program have been happily met with a number of donations, including a whopping $3,000 one from Tim Mitchell/Telus at the Computer Place (back row, second from left). Other sponsors included Rob McDonald (back row, far left) of Lewis and Jones; Cory Hilhorst (third from left) with Centennial Farm Supply; followed by Michael Bartley of M.A. Bartley & Sons; and Chris Johnson of Killarney Pharmacy. That’s coach Tyler Shiels on the far right with the future hockey stars. Greenvalley Equipment also donated funds to the kids’ popular hockey program. 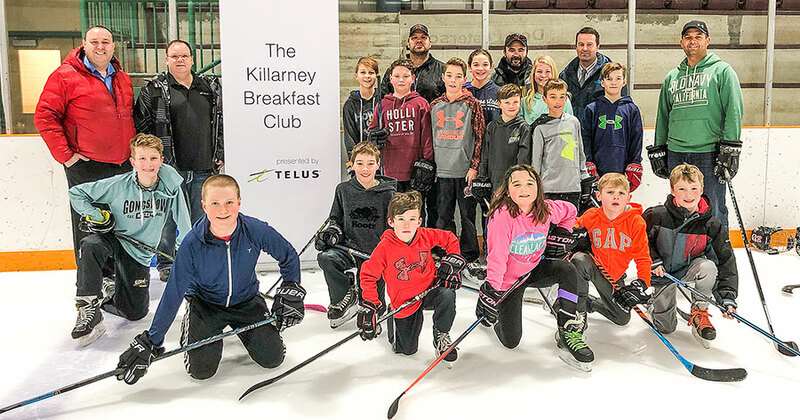 REVVING UP WITH A HIGH ENERGY BREAKFAST – Kids with the Killarney Breakfast Club enjoy filling their tanks, after a hard morning workout on the ice. The free program teaches kids hockey skills on the ice, supplies them with a free breakfast – and then it’s time for school.